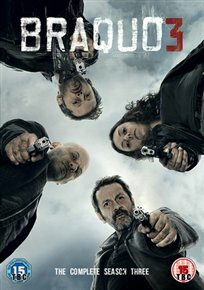 The series follows a group of police using violent and unorthodox methods in their criminal investigations. When this is brought to the attention of Internal Affairs, the department is faced with the difficult and dangerous task of exposing the group’s methods and putting a stop to them. The episodes are: ‘Affliction’, ‘Nos Funérailles’, ‘Odessa’, ‘Stoukatch’, ‘Le Lait et Le Miel’, ‘Prologue’, ‘Andreas’ and ‘Entre La Terre et L’Enfer’.